Services represent a significant and growing portion of the modern economy, yet marketing them remains a mystery. 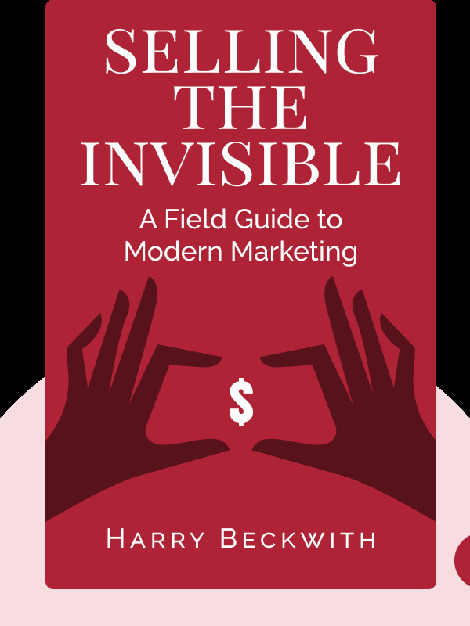 Selling the Invisible (1997) serves as a guide for promoting the intangible. It outlines how to set up a marketable service company, and how that business can then be advertised and promoted. 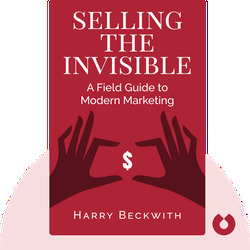 Harry Beckwith had a successful marketing career before going on to become an influential speaker on sales and marketing topics. He gives lectures to employees at large national companies as well as to students at Ivy League universities, and is considered one of the best public speakers in his field. He has written five best-selling titles, including Selling the Invisible and Unthinking.